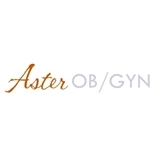 Aster OB/GYN (New York) - Book Appointment Online! Aster OB/GYN provides diagnostic, therapeutic and preventive health care services to women throughout every stage of life. Our goal is to assist our patients in achieving happy, healthy lives in a setting that is both comfortable and safe. Our office based surgical facility is accredited as class C-M by AAAASF, the "Gold Standard" of accrediting agencies. We are committed to providing quality, affordable care. We accept payments from most Insurance Plans as an out of network provider. I enjoyed my visit. Nice office, friendly staff.. the doctor was great.. very knowledgeable and approachable. He made me feel very comfortable from the start. I’m glad that I found this place.. definitely recommend!